We distributed a parent survey at the Autumn Term Parents’ Evening. The short survey asked parents to indicate whether they strongly agree, agree, disagree, strongly disagree or don’t know in response to 11 short statements. In addition, parents were asked if they would recommend Eliot Bank to other parents. Parents were also invited to make any other comments. We have collated the survey results and are were overwhelmed by your positive feedback. Feedback from parents is important to us. In areas where agree falls below 95%, we have drawn relevant action points. 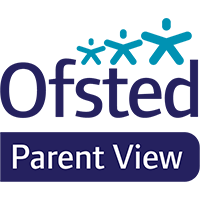 Parent View – Give Ofsted your view on your child’s school-parent View is an online questionnaire that gives you the chance to tell Ofsted what you think about your child’s school, from the quality of teaching to dealing with bullying and poor behaviour. The survey can be completed at any time; you don’t have to wait until the school is being inspected. Parents are asked to indicate whether they strongly agree, agree, disagree, strongly disagree or don’t know in response to 11 short statements. Question 12 asks whether they would recommend the school to other parents. If a parent updates their responses for a school more than once in an academic year, the previous results will be overwritten so that only one ‘view’ for each parent, per school, is held. Click here to give your view. Results of the questionnaire and be viewed here.